*I received the following in exchange for my honest review. I have the continuation of the KBShimmer Fall 2015 collection for you today. 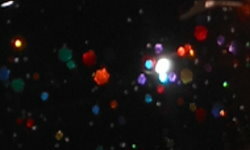 The next part I have the glitters, shimmers, and holos. I only have 6 of the 8 polishes that fit into this category, but many other bloggers have the other two in their review. Fig-Get About It is a darkened fig burgundy linear holo. 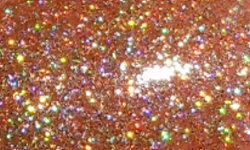 I Feel Gourd-geous is a pale coppery-champagne holographic micro glitter. 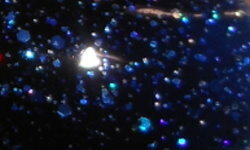 Carpe Denim is a dark denim navy jelly filled with silver holographic glitter. 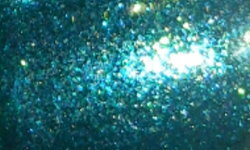 Talk Qwerty To Me is a shimmering teal with hints of blue and gold micro flakes. 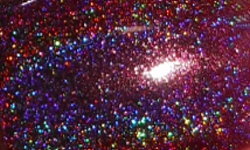 Dark & Twisty is a black jelly with metallic rainbow glitters. Open Toad Shoes is a soft olive green jelly with chartreuse, burgundy, and navy glitters and a subtle holo shimmer. Colors: I am all about the bling and the glitz and these polishes nail it (pun intended). Again, like I always say with KBShimmer there is something here for everyone. These are awesome and thoughtfully made colors. KBShimmer knows how to do color combos and Open Toad Shoes is an awesome example. I never would of thought of that color combo, but it's awesome! Dark & Twisty is the type of polish I've been waiting for--a black jelly with rainbow glitter! Fig-Get About It is a surprise favorite for me in the bunch since I normally don't gravitate toward purple shades like that. These are all amazing colors. Formula: These all had great formulas. I did not have application issues with any of these. I thought they all were smooth and easy to apply. I used 3 coats on all of these swatches. Price: These all are $8.75 and will be available for purchase on Tuesday 9/15 on the KBShimmer site. Overall: These polishes rock my world. 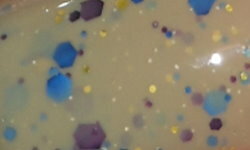 They're inventive, beautifully made, and I wouldn't expect anything less from KBShimmer. I got to preview these back in Cosmoprof in July and I knew this collection would be a hit. I think Open Toad Shoes has to be one of the coolest polishes out in this season I've seen so far. If you had me pick my favorites I'd have to go with Open Toad Shoes, Fig-Get About It, and Dark & Twisty.